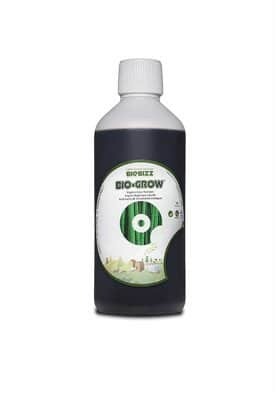 Bio Grow is a 100% liquid organic fertilizer for Marijuana plants. Its formula includes 70 trace elements and vitamins that guarantee many large crops. 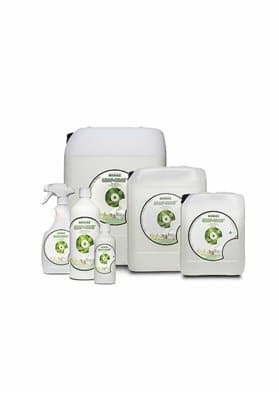 Bio Grow is a 100% liquid organic fertilizer for Cannabis plants, perfect for all kinds of soil mixtures. Its formula includes 70 trace elements and several vitamins like B1, B2, C and E that are important to get abundant crops of top quality. 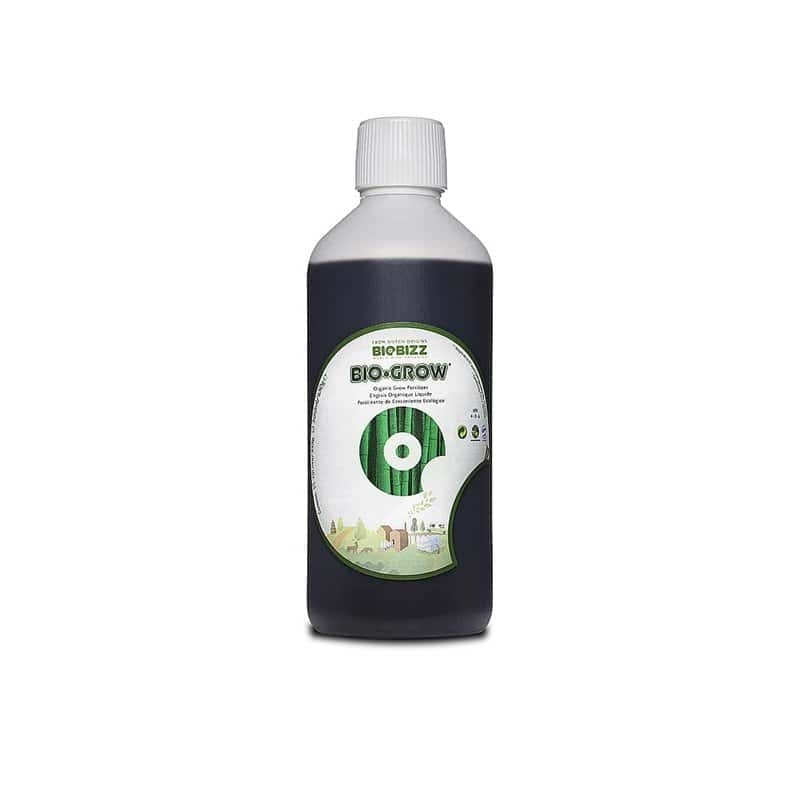 The role of Bio Grow is to stimulate the bacterial flora existing in the soil through the molasses existing in its formula. These molasses are 100% organic and obtained from sugar beet of of Dutch origin. Besides that Bio Grow also has wheat starch, an ingredient reach in betaine that boosts the microactivity of the substrate though an ecological fertilization process. You can apply Bio Grow during the vegetative growth period or, when the first leaves of the plant appear. The recommended dosage is 2-5ml per liter of irrigation water to be used in each watering.